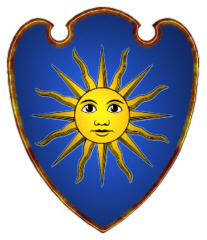 Coat of Arms: Blue with a gold sun in splendour. Spelling variations include: Aldreman, Alderman, Elderman, Aelderman and others. First found in Lincolnshire in eastern England. The name was recorded as holding lands in that county in the Domesday Book (1086), a census taken by King William after his conquest of England in 1066. Some of the first settlers of this name or some of its variants were: Grace Alderman, who arrived at the age of 22 in Virginia in 1635; soon after the Plymouth settlement, and Peter Alderman, aged 32 arrived in Boston in 1820. Alderman Southern English: status name from Middle English alderman, Old English ealdorman, literally ‘elder’. 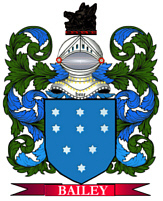 In medieval England an alderman was a member of the governing body of a city or borough; also the head of a guild.